"Just Tell Her to Stop: Family Stories of Eating Disorders"
Eating disorders are serious biologically based brain disorders. Until recently many believed: wanting to be popular, family situations/ dysfunction, trying to be thin or vanity concerns caused eating disorders. Some brains seem pre-disposed and when triggered, these disorders take on a life of their own and become the most deadly of all mental illnesses. It is important that everyone learns how to talk about and have a healthy body. Words (the right and wrong ones) we use about diet, weight, food and body image may just trigger these risk factors in certain people. Mothers, fathers, siblings–everyone is affected when their loved one is under the grips of an eating disorder's strong and pervasive pull. Just Tell Her to Stop is an amazing collection of stories from families who shared what it is like to live with and support a person with an eating disorder. Mothers, fathers, sibling–everyone is affected when their loved one is under the grips of an eating disorder's strong and pervasive pull. Author Becky Henry is an "unwilling expert" learning all she can to try and right the wrongs her family experienced in trying to help a child with an eating disorder. Becky interviewed more than 40 people to tell their story so you know you are not alone and parents are not to blame.The different perspectives are invaluable to any reader to gain skills, insights, tools, techniques and find support. Becky has a passion for educating the world about eating disorders to help with prevention. Educate yourself about the disease and how you might be able to prevent, recognize or help people living with eating disorders. Educators: This book is available for your health sciences students so that they have a working knowledge of the deadliest mental illnesses. "While worry about weight and dieting are normative in our culture, these are not benign. Knowing how to talk to a family member–or if you are a health care professional, your patients–about lifestyle habits and weight in ways that do not trigger these risk factors is critical." Thank you all for these beautiful reviews! They make me smile! And hearing how much this book helps your journey makes my heart sing! Like Becky Henry, I am an "unwilling expert" on eating disorders. 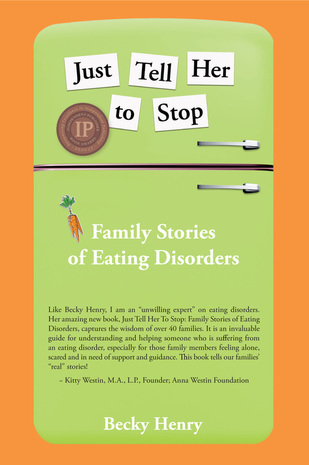 Her amazing new book, Just Tell Her To Stop: Family Stories of Eating Disorders, captures the wisdom of over 40 families. It is an invaluable guide for understanding and helping someone who is suffering from an eating disorder, especially for those family members feeling alone, scared and in need of support and guidance. This book tells our families' "real" stories! ​"Wow Becky I read your book in a night, late into the night that turned into morning. What an amazing gathering of stories and strengths and sorrows. What a gift to me as a mother to see myself in so many ways in so many families’ lives. They know and I am better because of what they have shared and I am grown full of hope because they did. Thank you for putting this together, thank you for reaching out of your own pain and creating something so precious. It is the first book I wish I had been given. It is the first book I believe all parents should be given along with the ed diagnosis. I do not know how no one shared it with me but please know how I am spilling over grateful to have found it and will share it. First I will buy a few copies and give one to my child’s therapist and Dr. so they can share the title with other parents. Then I will mail a few to the treatment places my child has been in residential care and encourage them to give this book or at the least encourage this book be bought by parents. Suggestions from parents at the end of the chapters are priceless as they look back and reflect and glean from their journey. The stories, oh the stories in their raw and remarkableness restore a bit of me knowing again I am not alone and Love wins. The stories give hope and help in the resources. Just as you set out to do with your HopeNetwork you did it in this book, well done Becky you share HOPE for another appt., phone call, another moment. I HIGHLY recommend this book! As the parent of someone who has had an eating disorder for many years, I've read my share of books on this topic. One of my frustrations is how to tell those I'm close to what it's like to go through this experience. There have been many books with great stuff, but I was always afraid that my loved ones would think that our experience was exactly the same or assume we couldn't possibly be going through the horrors described by a particular writer. This book solves that frustration since each story in here had something in common with our story and the volume of very challenging accounts puts to rest the notion that our situation couldn't really be that bad. This is the perfect arrangement for a book on this topic--it shares so many different experiences, which alone provides comfort for those managing a disease which fosters so much isolation and shares resources, many of which I was not familiar with - even after all these years. It gives accounts from the perspective of mothers, fathers, siblings, grandparents, those who have recovered and those still struggling, whether they be male or female. I have found this disease to be emotionally and physically exhausting and finding so much of what I want in one book was a miracle. I just hope Becky Henry doesn't stop with this one. I have picked it up just to reread parts, as well as for reference reasons many times. By the way, when I finished it, I immediately ordered three more copies, because my copy isn't ever leaving my house. "Robin"
This is the most down to earth book i have ever read.I read it over the weekend and at the end of it i thought to myself,this person wrote this book for me. "Excellent book for everyone to read! Gives insight as to how most of the preconceived notions about eating disorders are wrong and that each case is different. Great respect from me to you Becky Henry!" 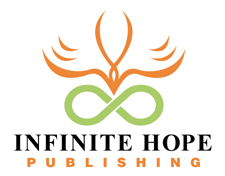 "Becky Henry has done a great service by providing this resource for those who are enmeshed in the confusing and terrifying world of eating disorders—the families grappling within this unfamiliar territory to save their loved ones—and the health care providers who are helping to create the pathways to healing. Becky has given a platform to families to share their triumphs and tragedies and, most important, the lessons they have learned as they care for loved ones with eating disorders. Perhaps most helpful is the distilled advice passed on by these brave "unwilling experts"—practical advice about how to love the sick child while hating and fighting the illness that causes so much havoc, how to do damage control when family or friends make unhelpful or triggering comments, how to deal with the myriad appointments, paperwork and insurers, while at the same time caring for yourself, the care-giver who is also traumatized by the experience. These peeks through the windows and behind the doors of families dealing with eating disorders will help other families know they are not alone in their confusion and frustration, and will help health care providers understand what happens within the homes and lives of their patients and their families." "Just Tell Her To Stop will help enormously in exposing and exterminating this manipulative, isolating, and dangerous illness. In my recovery journey, a constant image spurred me on—that of extracting the eating disorder from the darkness of my mind. The families in this book write from the heart, bravely and candidly exposing the reality of eating disorders. Their words are a bright light shining, a beacon, a pathway, for anyone caught up in an eating disorder." I think you have done a great job of telling families' personal stories and giving them a voice, and hearing those stories can provide much encouragement and comfort to friends and families finding themselves in the role of supporting a loved one with an eating disorder. 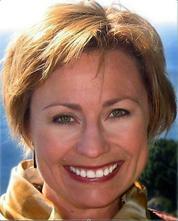 "Becky Henry's book tells it like it is for parents whose child has an eating disorder. Now I have a book that I can recommend to parents by a parent who has been there." I enthusiastically endorse this book. "I have worked with many brave, compassionate, and wise parents, and find their commitment to helping their child recover from an eating disorder has been both humbling and inspiring to witness. After many years of feeling alone, these parents now have the supportof the clinical community and other parents, such as yourself, as they accompany their child on the road to recovery. I will recommend your book among the resources that parents and families might turn to for information, along with organizations like NEDA, FEAST, AED, and foundations such as the Anna Westin Foundation. Congratulations on this tremendous accomplishment. I am most grateful to have it as a resource." "Living with an eating disorder is extremely challenging and Becky Henry has found the perfect way to share beautifully written family and patient stories. Each contributor shares a list of recovery TIPS at the end of their story, and they contain particularly valuable "positive living" information. Just Tell Her to Stop is already a classic in the field of eating disorder treatment and recovery. Great value for both families and anyone who works in the eating disorders field." "Understanding eating disorders and their impact on individuals, families, and society is critical. Becky Henry provides stories into the heart of those affected by this disorder so that no one has to feel alone. The author in the sharing of diverse family stories as well as her own provides validation, support, practical tips, and guidance which will truly help those in need. This is a really important book." With "Just Tell Her to Stop", Becky Henry has contributed a much-needed resource for those who truly stand on the front lines of the eating disorders recovery battle - the parents and families of a sufferer. Aparent-turned-activist herself, Ms. Henry has experienced first hand the power and value of having access to a parent support network. "Just Tell Her to Stop"takes aim at popular myths that parents cause eating disorders, and deliberately chooses a different approach – to educate and support families so that they can then better support the sufferers in their lives as well. When families feel frustrated, isolated and alone, which is very common because the disease is often kept as a “family secret,” they need a helpful resource to show them that they are NOT alone…and there is help and people to talk to. Prepare for a marathon, not a sprint. Fill yourself up so that you have reserves. Learn to set clear boundaries with your child. This is essential, even when, or especially when, your child is very ill. Don’t fall into the "pity trap." No stone (or topic) was left unturned, so that all aspects of a family living with a loved one were covered. Who better to tell the stories than those living with, struggling to understand, and dealing with the day-to-day challenges that can be overwhelming, to say the least.